NATO Romania remains a trustworthy ally of NATO, Romania's Prime Minister Viorica Dancila said in Brussels on Wednesday at the end of her meeting with NATO Secretary General Jens Stoltenberg. In turn, the NATO official said that NATO and the EU are cooperating better and better in fields like cyber and maritime security. The two officials have tackled the main topics on the Alliance's agenda with emphasis on Romania's interests as well as on Bucharest's contribution to the implementation of the alliance's policies and decisions. Also in Brussels, Prime Minister Dancila took part in a ceremony dedicated to the International Holocaust Remembrance Day staged by the European Jewish Congress under the patronage of the European Parliament's president Antonio Tajani. On this occasion, the Romanian Prime Minister said that fighting Antisemitism is among the priorities of the Romanian presidency of the EU. Viorica Dancila has also underlined the need for consolidated European and international efforts to fight Antisemitism and any forms of discrimination. The Romanian official is paying a working visit to Brussels until Thursday with a view to presenting the priorities of the Romanian presidency of the EU Council. CELEBRATION Various events are being held across Romania to celebrate the 160th anniversary of the Union of the Romanian Principalities. On the 24th of January 1859, the elective assemblies of Moldavia and Wallachia elected the same ruler, Alexander Ioan Cuza, an event followed by the extensive modernisation of the new state. President Klaus Iohannis on Wednesday laid flowers at Cuza's tomb in Iasi, in the east. He also gave an address at an event to mark the declaration of the city of Iasi a "historical capital of Romania". Other events held throughout the country include the laying of flowers, exhibitions and street performances. We recall that the Great Union took place 100 years ago, on 1st of December 1918, when all Romanian historical provinces were united under Bucharest's authority. FLU 31 people have been killed by flu in Romania this season.  The authorities warn that Romania is on the verge of an epidemic, and the best method of protection is vaccination. The health minister Sorina Pintea has said that by the end of the week, some 10,000 additional doses of flu vaccine would be distributed around the country. Meanwhile, an increasing number of hospitals are considering restricting visitor access to prevent the spread of the flu. As an infection prevention measure, schools will be closed on Friday and since Thursday is a national holiday, students are allowed four days off also to minimize the risk of contamination, the Health Ministry has announced.